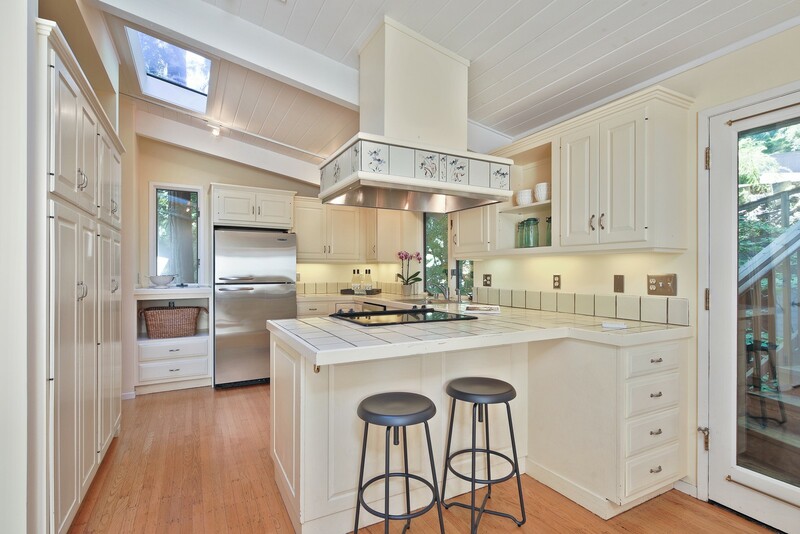 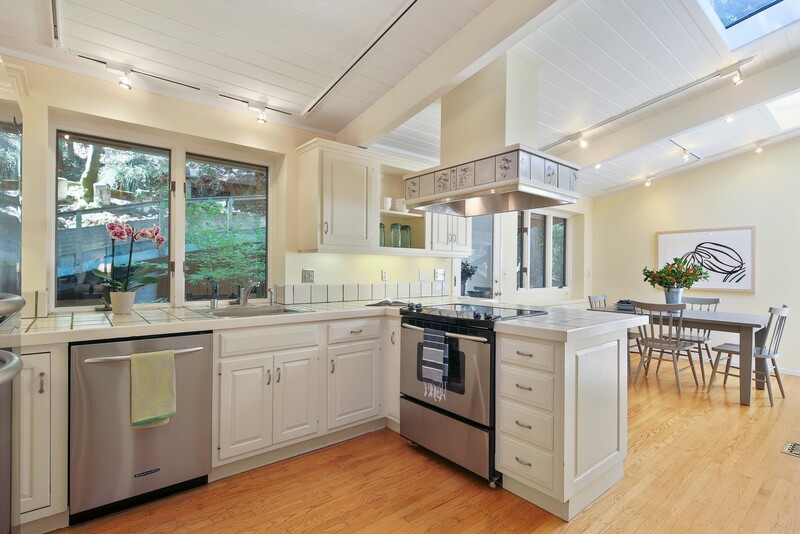 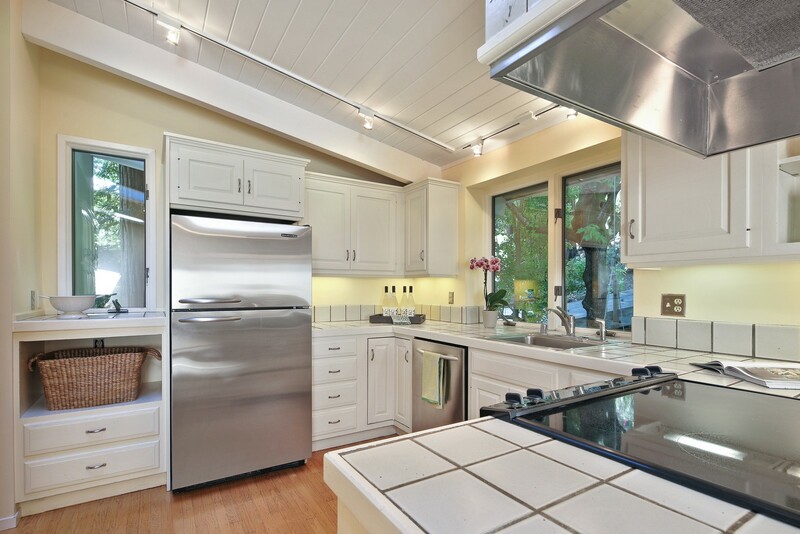 Don’t miss this quintessential Larkspur home at 41 Piedmont Court. 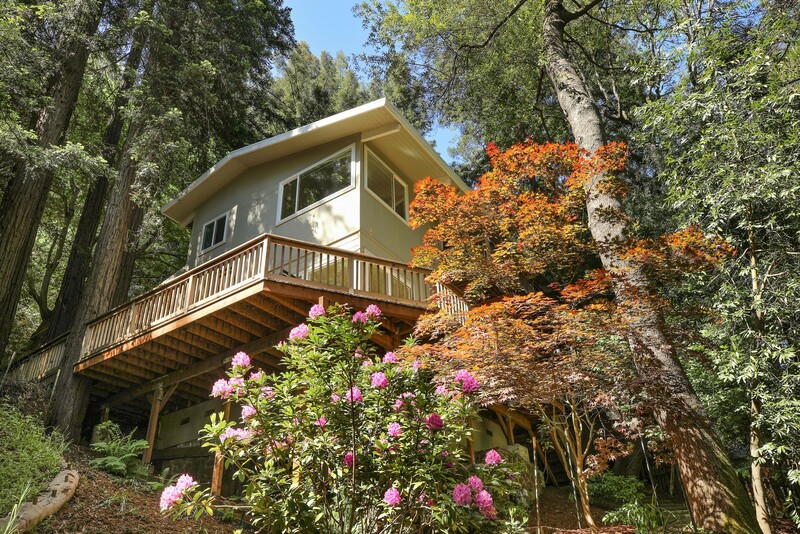 Located on a Redwood tree-studded lot with sunny decks, lovely views and easy ‘walk to town’ access. 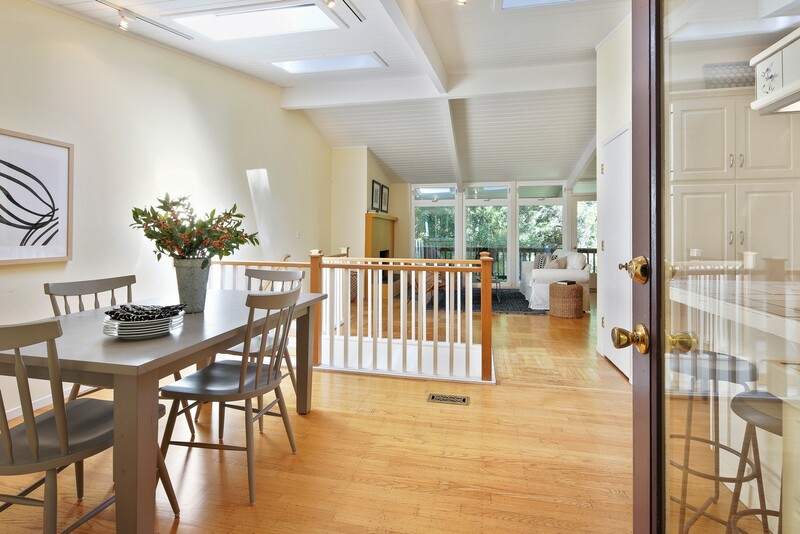 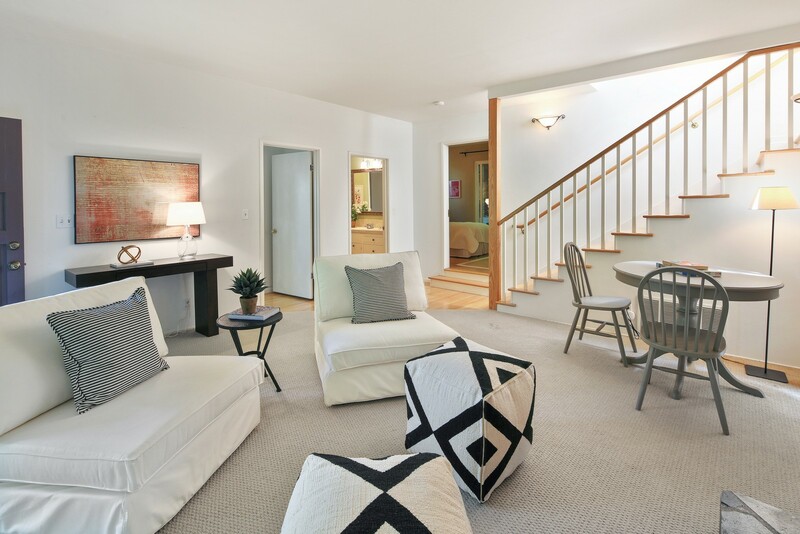 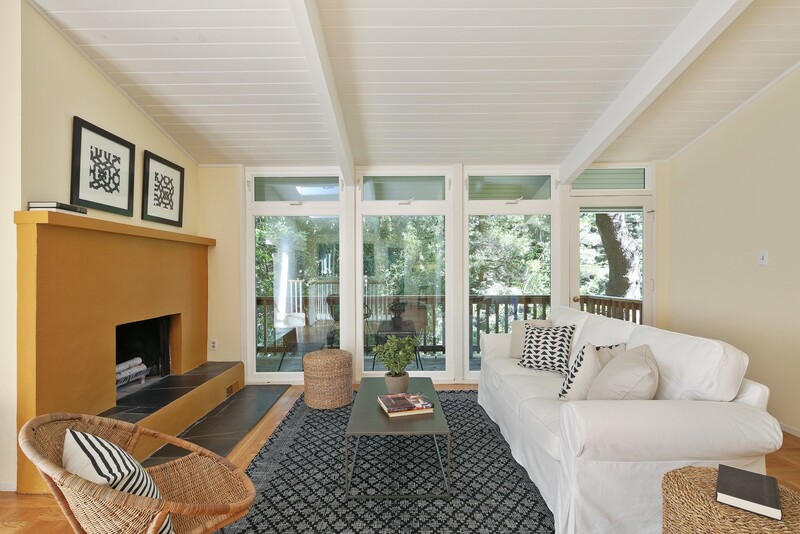 The home boasts hardwood floors throughout plus wool carpet in the family room. 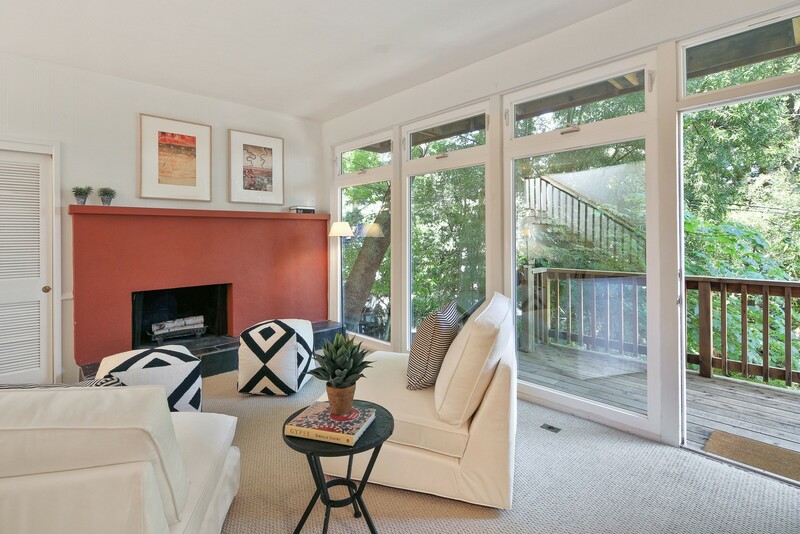 Two wood-burning fireplaces in living room and second level family room accent this family friendly floor plan. 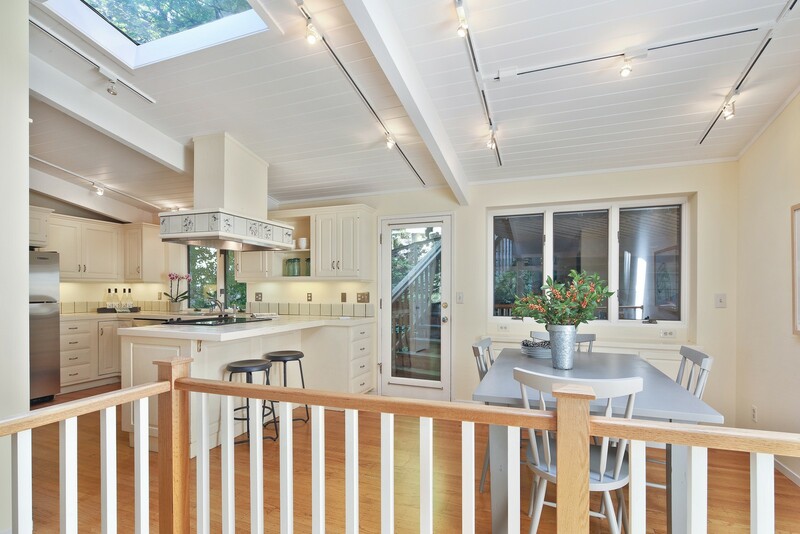 The country styled tile counter kitchen features lots of pantry space, an energy efficient glass top stove, under-counter lighting, sky lights and island counter seating. 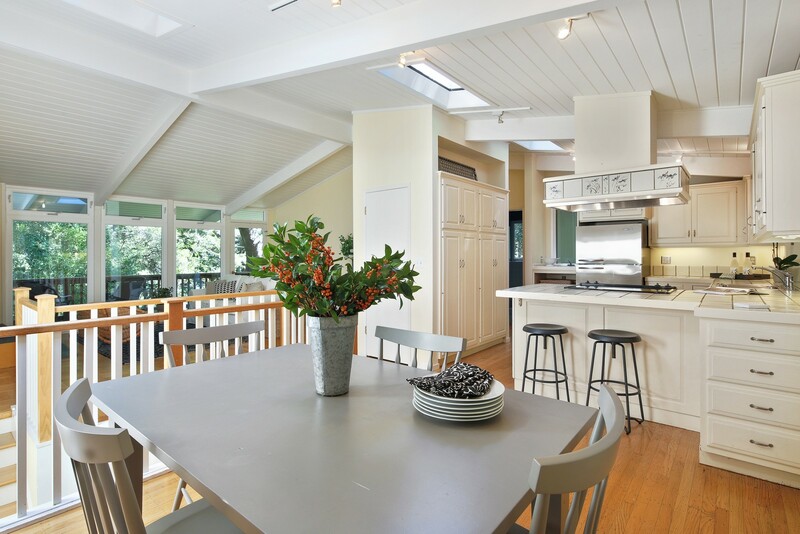 The cozy dining room features low voltage track lighting, large panel windows and tasteful built-ins. 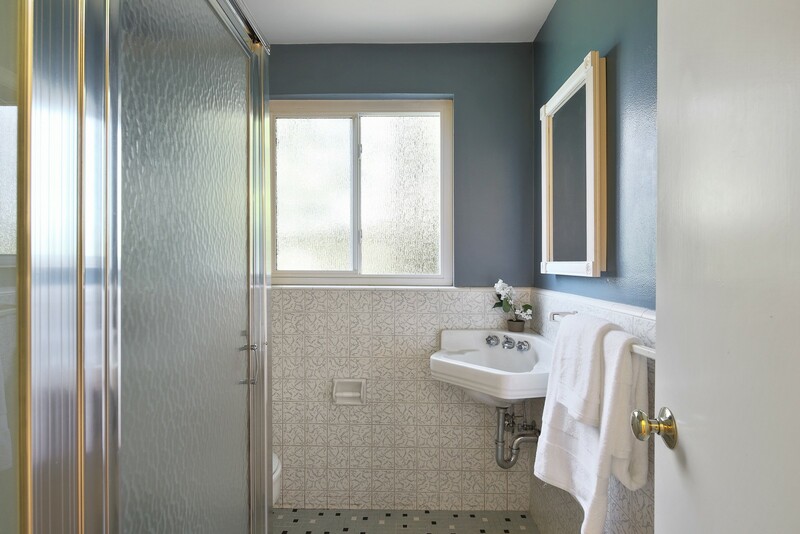 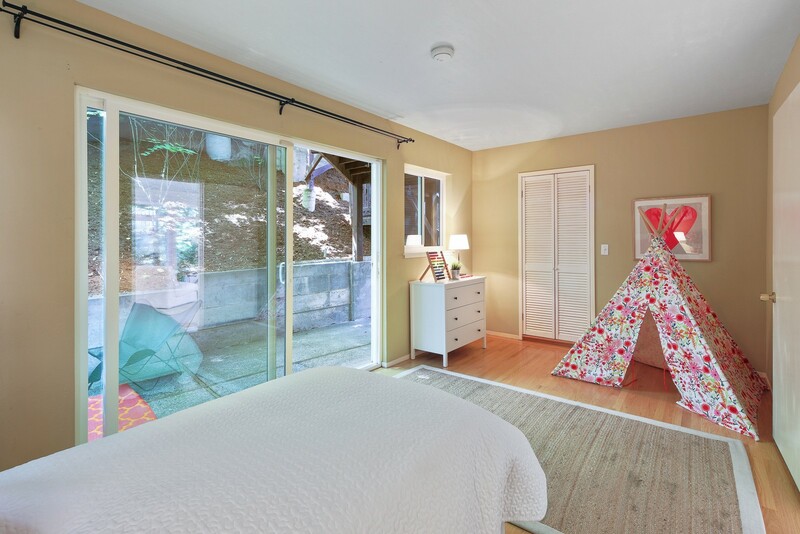 A spacious bedroom and bath with shower are located on the upper entry level plus two additional bedrooms are located off the second level family room sharing a second bath with tub and shower. 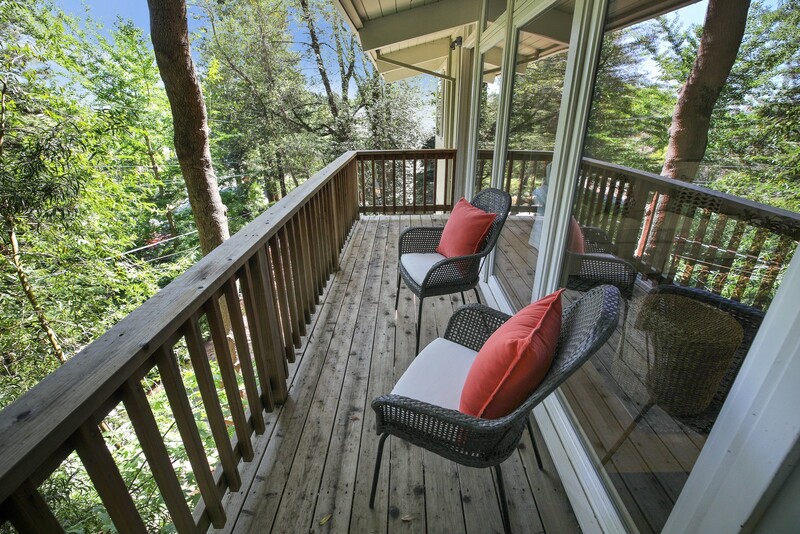 A viewing deck spans the floor to ceiling windows off the living room and is perfect for sitting among the lush canopy of trees enjoying a morning coffee. 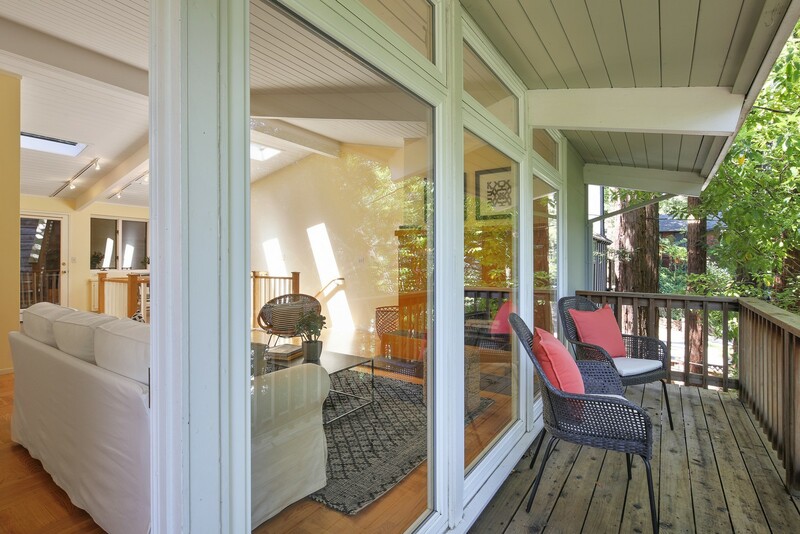 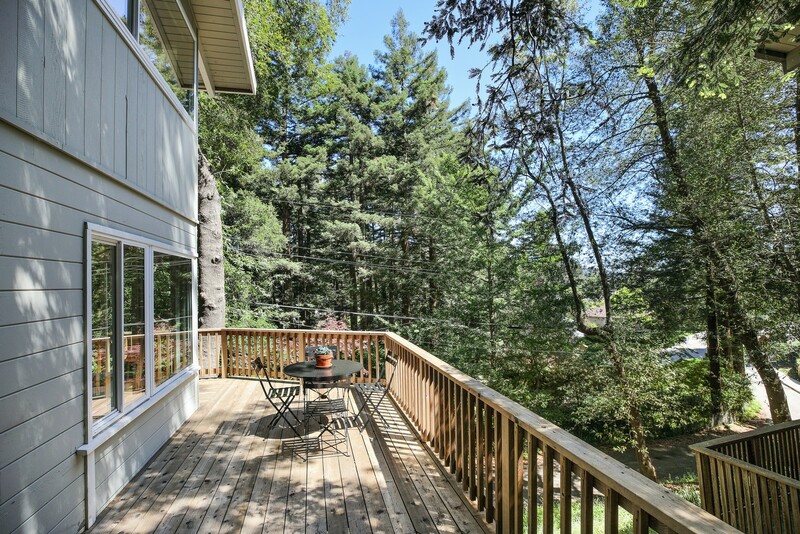 The large wrap around deck spans the second level of the home and is accessed by the family room, plus a sunny second bedroom and the Master bedroom opening to a private patio. 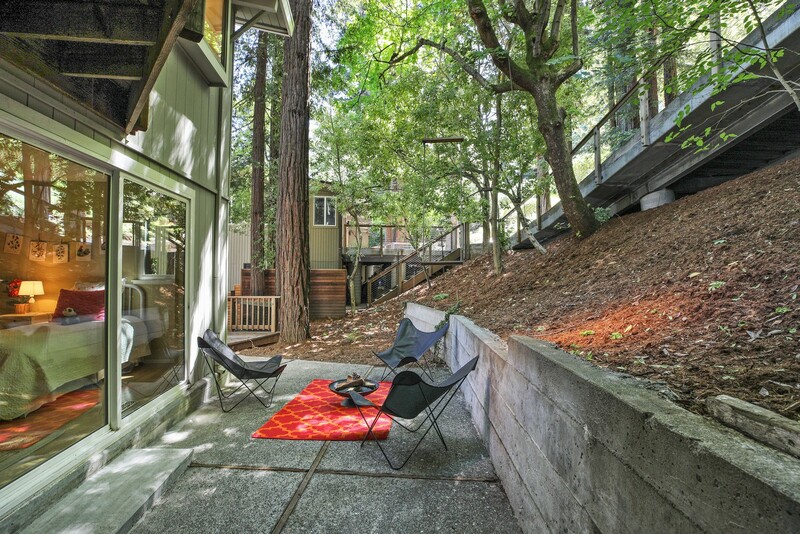 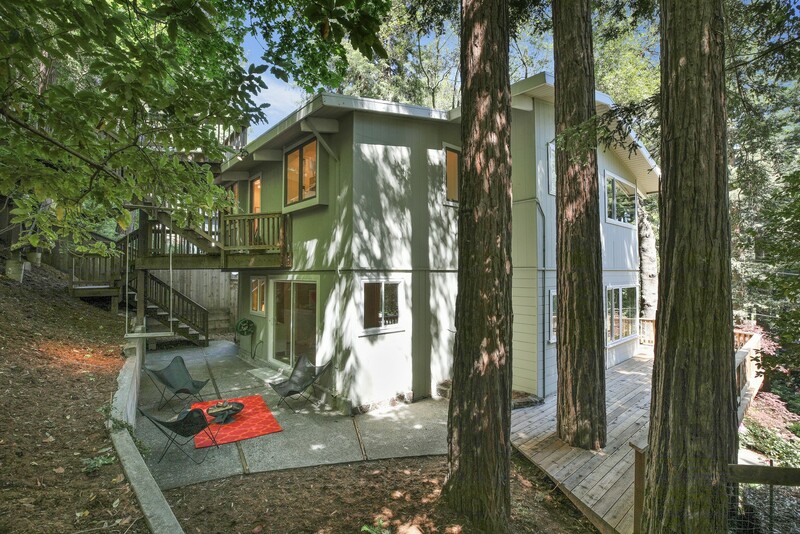 Absolutely a delightful place for BBQing, entertaining or simply relaxing surrounded by majestic Redwood trees. 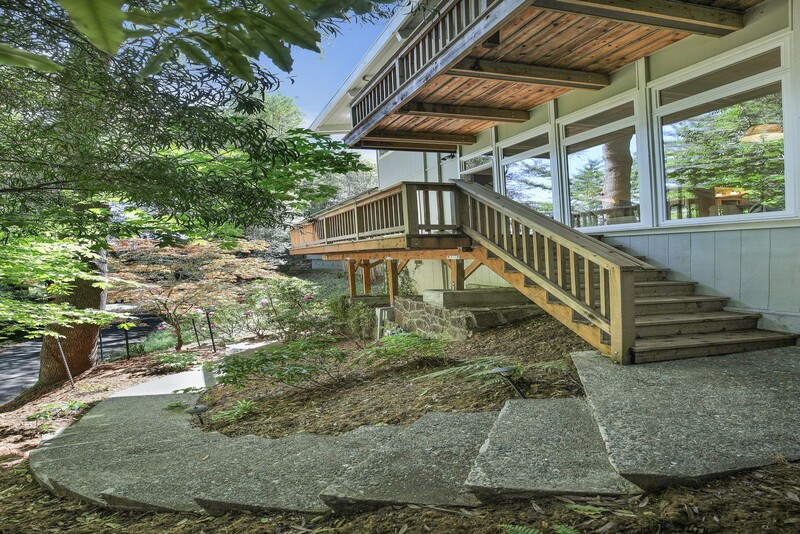 The property offers access to world class hiking and mountain biking within minutes from the front door included the rarely used Big Dog Trail and Baltimore Canyon Trailhead. 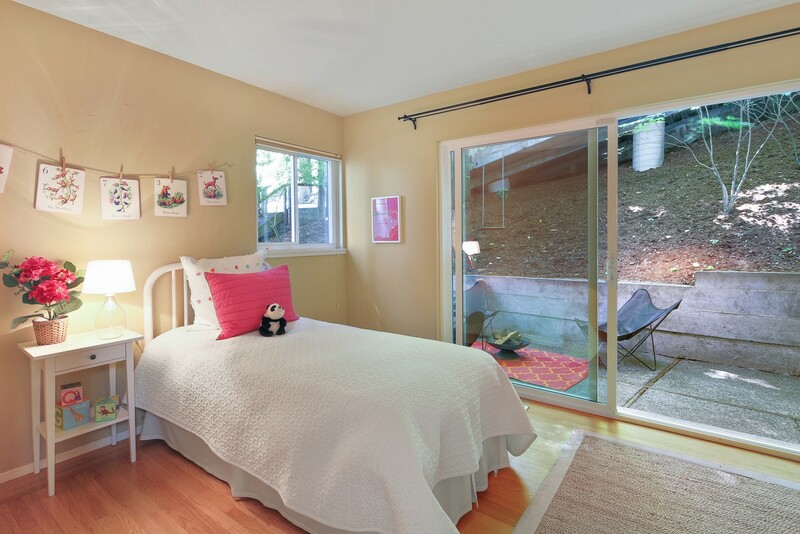 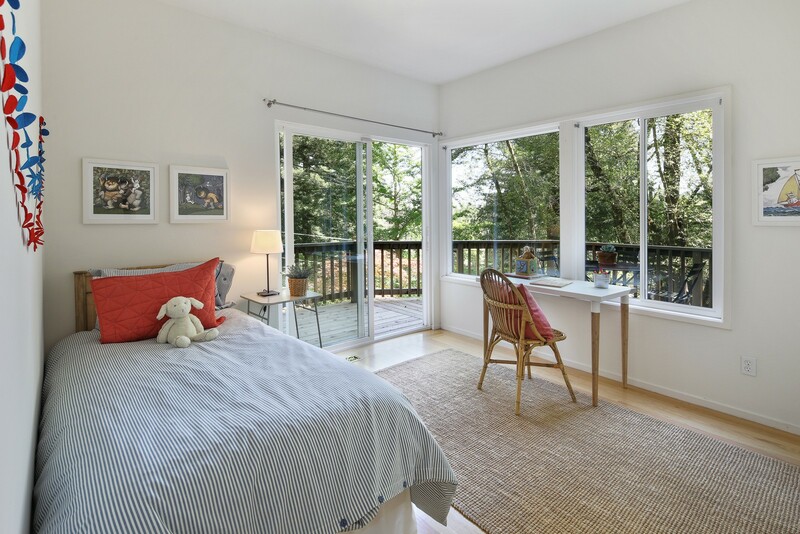 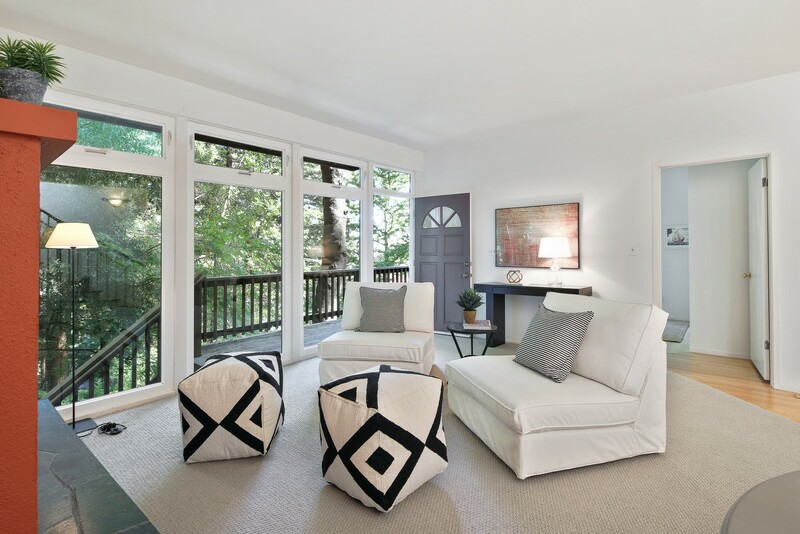 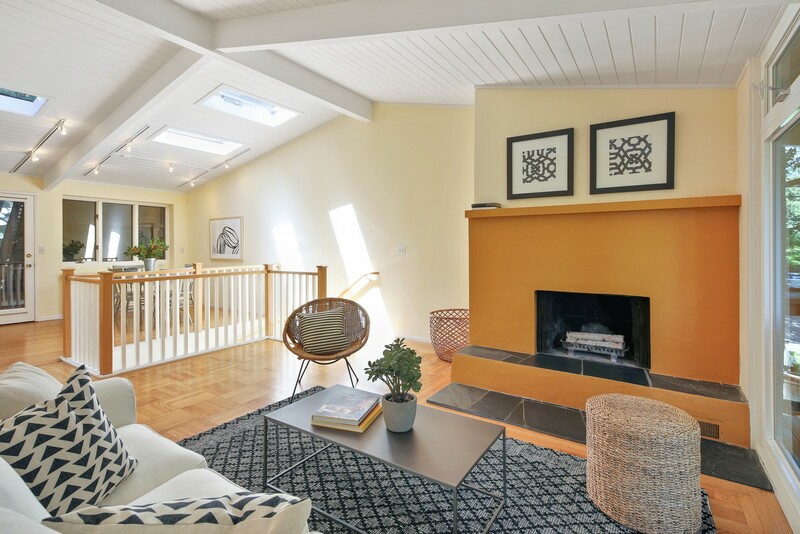 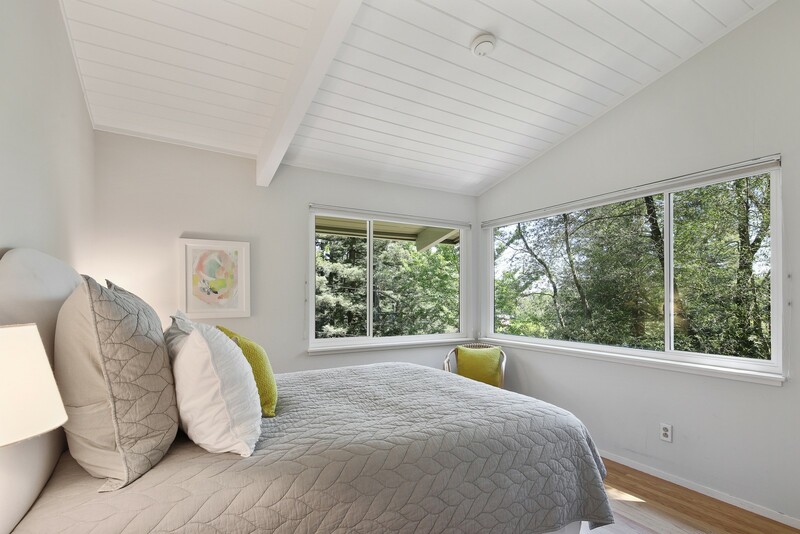 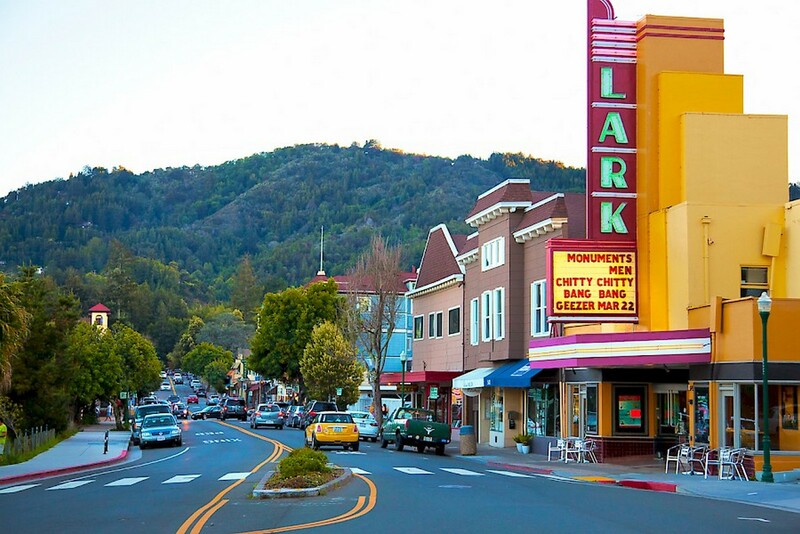 Plus, the house is located on only 2 blocks from Downtown Larkspur full of Marin’s best restaurants, upscale shopping, movie theater and so much more. 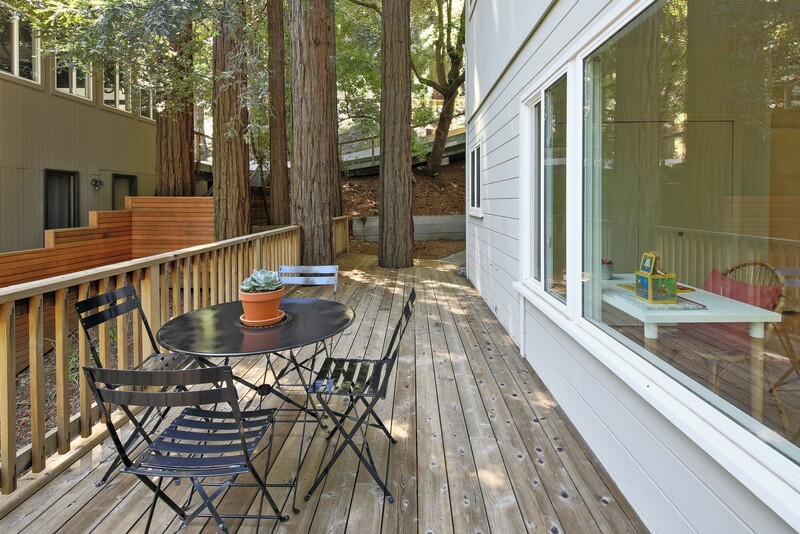 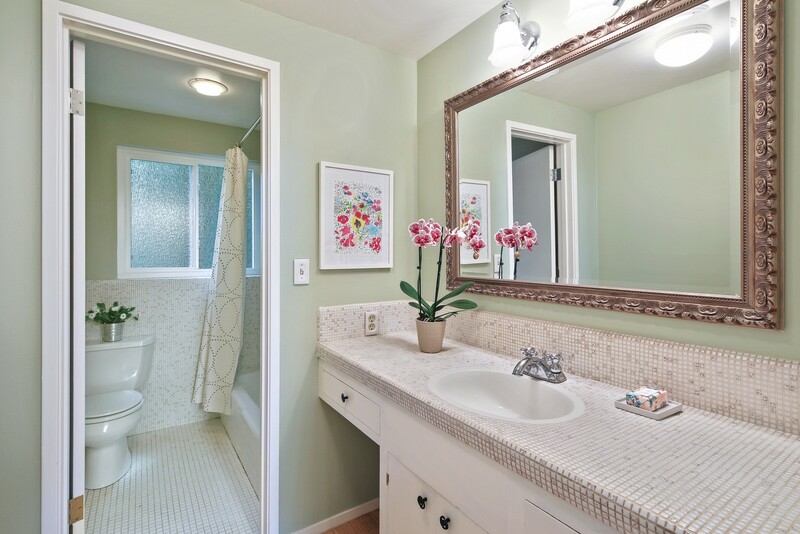 Call Robert at 415.720.1053 for a preview.